This Kizer S.L.T. features a quality John Gray design that is both sturdy and sophisticated. S.L.T. stands for Slim Line Tactical, and this sleek knife will feel at home in your hand or pocket. Ergonomic handle curves combine with a modified drop point blade for an impressive looking knife that is extremely comfortable to use. The blade is made from stonewashed CPM-S35VN stainless steel. 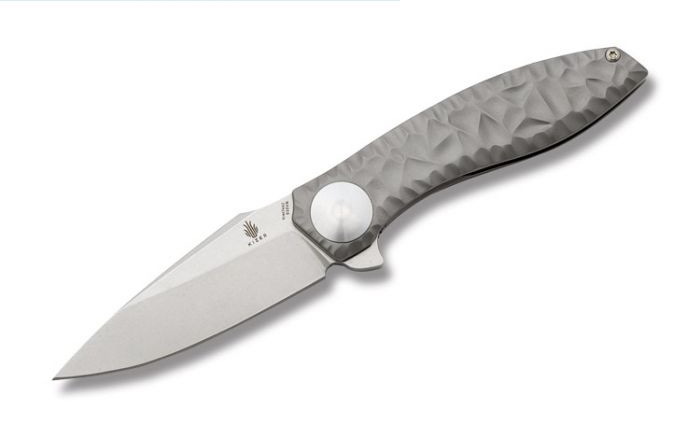 It has a textured titanium frame lock handle that is outfitted with a tip-up pocket clip and an over-sized pivot.